I think dark stories are compelling because they allow people to step outside their comfort zone and experience situations they’d strive to avoid in real life, but can appreciate from a distance. I think dark stories also give characters a fantastic forum for showcasing their strength in a way that is more difficult to pull off in mundane, everyday settings. If INSIGNIA had a theme song, what would it be and why? Written in the Stars by Tinie Tempah. The words just work. I think he'd totally gravitate to (and probably have a ridiculous infatuation with) Tris from DIVERGENT or Rose from VAMPIRE ACADEMY. Those strong, steely, kickass girls do it for him. Whether they'd have the patience to put up with Tom Raines, well, that's another question! It's so hard narrowing this down to just five. I'm going to stick to YA (and the YA definition of 'Dystopian') here. ACROSS THE UNIVERSE- This surprised me in a good way. I hadn't read a novel like this in the YA genre before, but the level of thought put into the ship, life within the ship, the dynamics between the people in the society really impressed me. I also felt such an intense sensation of suffocation on the ship along with Amy, and that's impressive. THE HUNGER GAMES- because, come on. I had the good fortune to wait to read this until just before MOCKINGJAY came out. This was a book I was ready to dislike because everyone else liked it, and surely all that hype meant it would be overrated. It wasn't. When I bothered reading all the way to the end of the first chapter, suddenly, I realized I couldn't stop reading it. Then my friend picked it up and couldn't stop reading. Then my mom picked it up and couldn't stop reading. How many books have that quality, hmm? DIVERGENT- again, because, come on. I love how unapologetically badass Tris is. I think there's something fantastic about having a female protagonist who isn't a gentle, self-sacrificing person who lives to fall in love, and who is unapologetically badass. HELPER12- This one is really unsettling. It's set in a future where only the very wealthy are allowed to be 'real people' in a way, and everyone else is tracked from birth into a role of service to them. The world is incredibly well fleshed out and it feels like a real glimpse into a frightening future. The main character also rings very true psychologically as a girl who grows up as one of the subhuman, lesser people in this scenario. CINDER- It's just a lot of fun, and such a creative world. What a clever way to remake Cinderella, too! Go skydiving, feel no guilt about massive quantities of chocolate. And, of course, tell my loved ones I love them and reach spiritual enlightenment etc. The usual apocalypse stuff. But mostly, the chocolate thing. 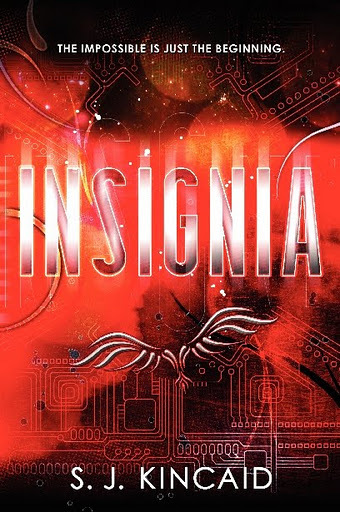 INSIGNIA is a futuristic thriller, and it certainly has its moments of (very, very pitch black) darkness, but it's a lot more fun and humorous than people seem to expect going into the book. 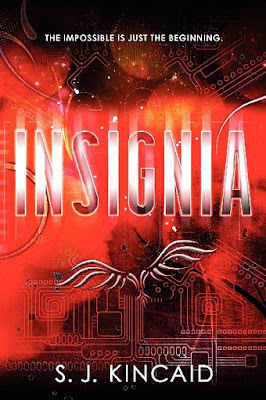 There is quite a lot of darkness in the genre, and INSIGNIA is, for the most part, a bit of a change in pace from that. I hope people have fun reading it. I got the ARC of this book at NCTE but haven't read it yet. Definitely want to! This book is definitely tempting me! I'm LOVING apocalypse month—thanks for the great reviews and interviews! I can't wait for this book! It just sounds so awesome! I have been on the lookout for books that would appeal to boys, and this one sounds like it would be perfect for my son! I am so glad to have seen this feature today, and will be looking into it. Thanks Lenore, and SJ! 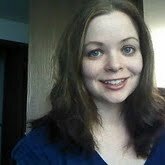 Thanks again for sending the questions, Lenore, and thanks to you guys who posted! It's great to have a guy as the main character. This sounds so great! I love action, so I know this must have plenty of it. This sounds very intriguing. I'm interested in reading it for sure! Whoa. Looking forward to Insignia!